The boot is constructed from vinyl and covered with neoprene, to secure the boot it uses a double Velcro design. 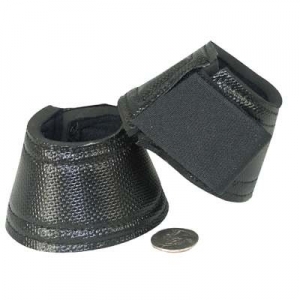 The Mini Bell Boot is great for ponies and younger horses. Black.